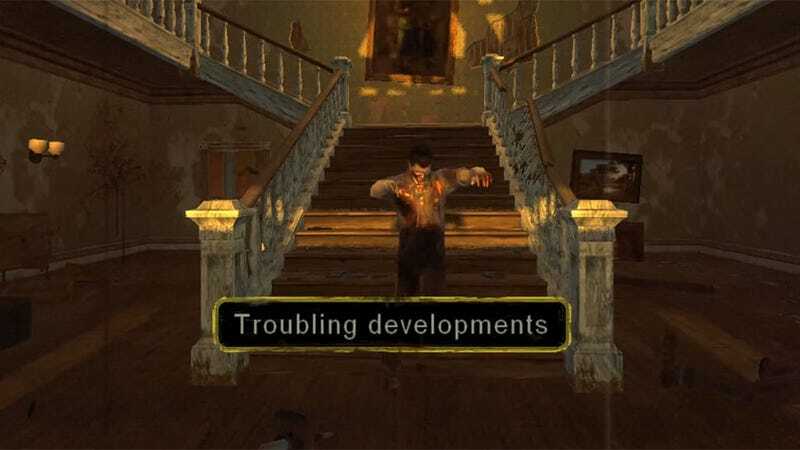 House of the Dead: Overkill was a Wii game that not only once held a fairly dubious world record, but also had a very old-school Sega sense of humour that was sadly overlooked. So it's nothing short of a shock to have people waking up yesterday to find the game's been ported to the PC. With Sega making as little a fuss as possible. Example: the press release announcing the game wasn't sent out until the day after it had already hit online stores! An even nicer surprise is that it's now a better game. Why? Because it ditches the light-gun mechanics of the Wii version and reverts to a form of...death by touch-typing, the kind first seen in Overkill's predecessor, 1999's Typing of the Dead. The game's $12.50 on Steam. It's totally worth it.